Although a number of surface shipments were made ahead of time, due to the complexity of the logistics required for such a mission, NASA needed additional resources in order to accomplish the difficult task of sending tons of sensitive equipment to Kiruna, Sweden. This was made available through several squadrons under the U.S. Air Force Reserve Command. Without their assistance NASA would not be able to do such complex missions like SOLVE. On November 4th, the 445th from Wright-Patterson AFB, Ohio delivered the first load of science equipment to Kiruna for the OMS stratospheric balloon teams operating from the Esrange balloon and rocket launch facility. 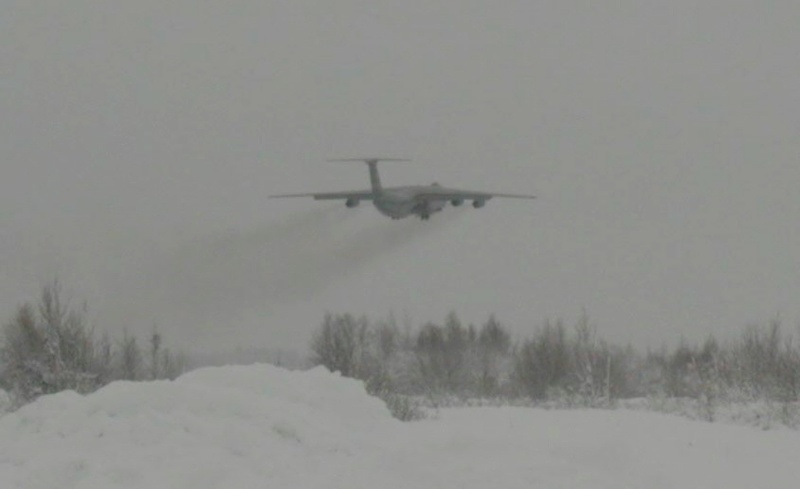 Recent rains had dissolved what snow was on the ground and the crew were met by local press and airport officials, who had never seen a C-141 aircraft before. Their arrival made the front page of several local papers. A heavy snowfall the night of their arrival delayed their departure slightly, however, the crew had a wonderful time in Kiruna and returned home safely. The equipment delivered enabled the OMS teams to have two very successful launches during the following weeks. 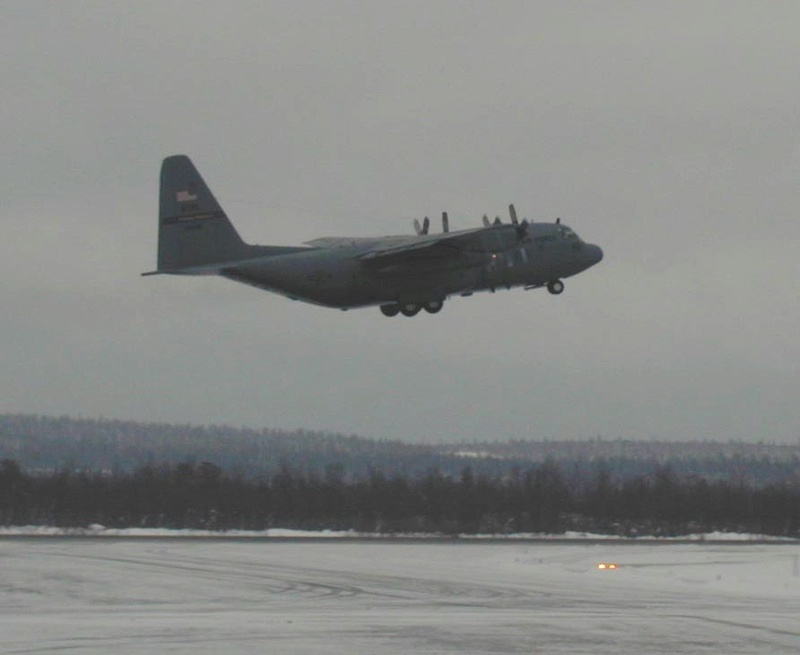 The 934th from Minneapolis / St. Paul, Minnesota took two C-130 loads to Kiruna, Sweden in November. Vital project, DC-8 aircraft, and instrument investigator equipment needed for the December portion of the mission was delivered. After a short enjoyable stay it was time to make the long journey back home to the United States with hopes that they may see Kiruna once again. The 446th from McChord AFB, Washington brought all the ground support equipment needed for the ER-2 flight operations. Even though the days were short, because they arrived early in the morning, they had a little time to drive around and see some of the beautiful Lappland country before they left the next day. Like the other crews they also enjoyed their short stay in Kiruna, and also regretted it was only for one day. 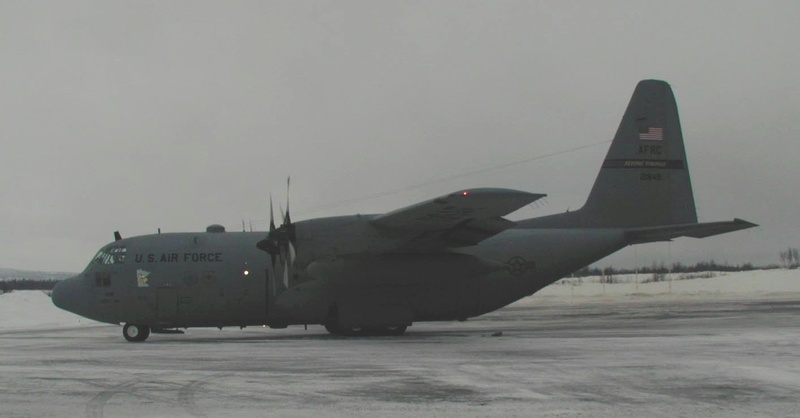 The 452nd from March AFB, California will actually accompany the ER-2 on its transit to Sweden in January. It will carry a number of the scientists and their equipment on the journey. We thank the Air Force Reserve Command and all the squadrons who have and will support this mission. Their monumental support is critical in the overall success of the mission. It has been our pleasure meeting all the wonderful people that crew these aircraft, and its our sincere wish that all their flights be good ones!